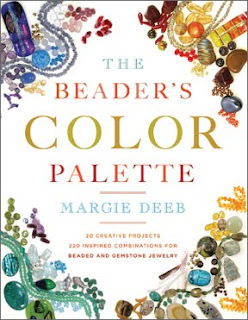 For everything beading you could possibly need! 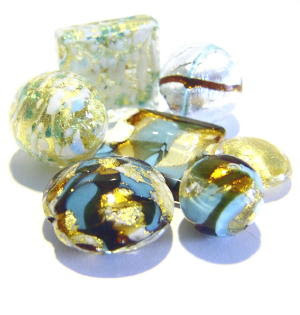 The prettiest specialty beads on the planet, plus all the necessary tools and supplies! 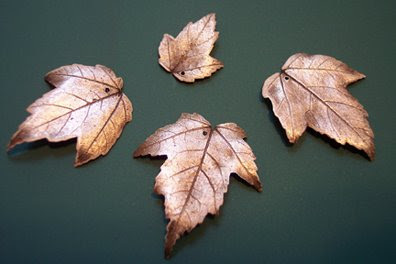 A comprehensive selection of raw materials and other jewelry making supplies. 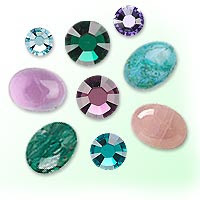 Everything from jewelry display items to stones and jewelry components. The nicest people in the world! New products added frequently...well worth the visit! Europe biggest bead supplier and an official Swarovski Crystal Retailer who works very closely with them for live events in the UK. Help me out here…did I miss any good ones? When the author, Tammy Powley, approached me about creating a project for this book, I was very excited, but also a bit scared! I’ve been involved with a couple other projects with Tammy, and I already knew how much detail and effort she puts into everything that she does. I knew that this was going to be an amazing and very complete book for beginners. 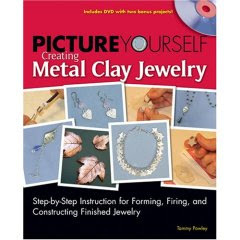 And I wasn’t the slightest bit disappointed when I received my copy of Picture Yourself Creating Metal Clay Jewelry. Tammy’s instructions are excellent and very thorough, and the DVD is just the icing on the cake! Are you looking for some random writing prompts or story starters for your journal, blog, or other creativity-related project? Apparently you shouldn’t sit around waiting for yours even if you do happen to believe you have one! View your day jobs as the blessing that it truly is! Olivia, how do you describe your work? 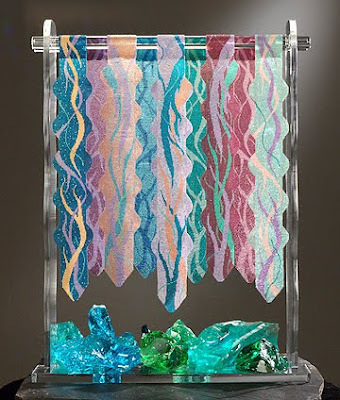 I have always loved sparkle and color. 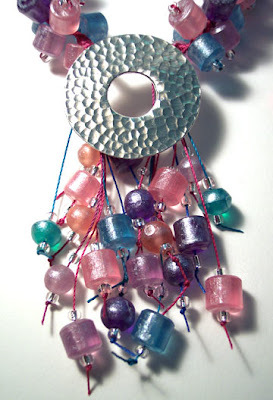 I started out with beads and they have always been my first love. 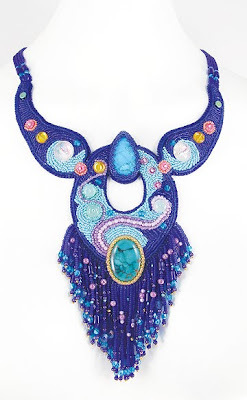 What I do now is and extension of my bead work. 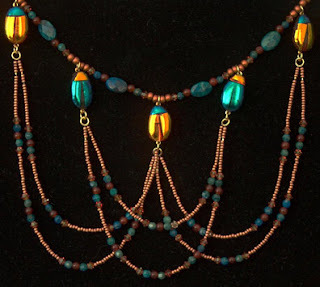 I love the art nouveau movement and Egyptian adornments. Sometimes I render a piece, but mostly I like looking at what I have and what will fit with it. I work very organically – it cannot be forced, it will work itself out and be or not. Then I show the design to my mom and she has a great eye and gets me to finish a piece. When I was 9ish I lusted after a pair of earrings at Macy’s and my mom wouldn’t buy them for me. Instead she took me to the oldest bead shop in San Francisco and bought me beads and started my life long passion for jewelry. Then in 2001, the industry I worked in got hit bad by 9-11 so my mom told me to go back to jewelry and I started my formal training on metal fabrication. 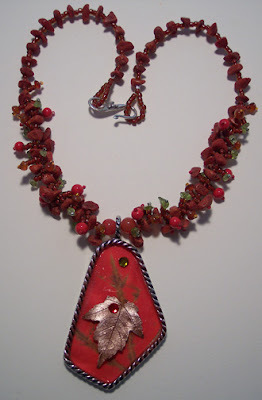 I am now a PMC certified artisan, teach enameling, fused glass and bead work at the Sharon Art Studio in San Francisco. 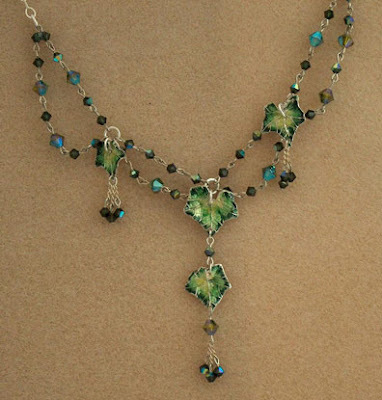 The light as it plays across the ocean or trees of Golden gate park, new colors in beads. The fact that great work is giving life to an idea, and collaborating with my mom. Practice, practice , practice, and have fun in the end. Cooking for my family and my pets (4 cats and 2 dogs). I love a good hamburger, read fairy tales, and right now I love a blue-based red color! 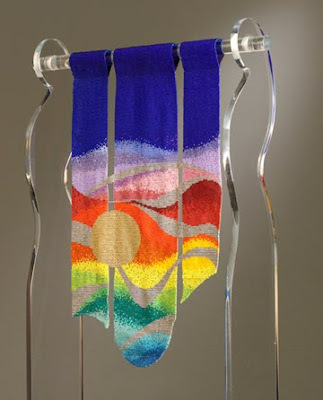 I will have a piece in the up coming Show for the Northern California enamelist guild at the Oakland Museum. Ready, set, go make something! This short series of discussions that we’ve been having about the various pathways and journeys that you can take into designing your own original work was not intended to turn your creativity into just another mechanical exercise. It’s also somewhat artificial to imagine that most of us are so organized and linear in our creativity that everything always flows in one pre-determined order. Still, I believe that the more you understand about your own preferences and biases, the more you may be freed to try new things. I hope you will spend some time thinking about the steps you usually take in designing, and maybe even spend some time mapping them out. Understanding your dominant patterns of working can both help you to play to your strengths, and also to challenge and stretch your creativity. future, as well as the subconscious, unconscious, and conscious mind. beads. Photo by Margie Deeb. 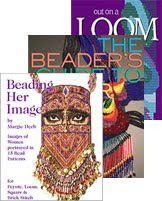 How do you describe your beadwork, Margie? 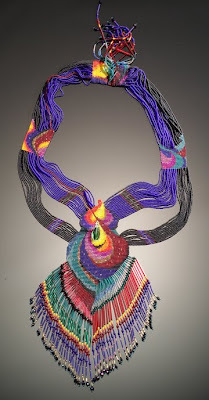 Sensuous beaded art exploring dimensions of color through form and movement. I am very methodical, engagin in a tremendous amount of planning ahead of time so that when I get to the manifesting stage, I feel very free to enjoy the process. I make endless sketches and drawings and rework color combinations over and over until I come up with what feels balanced and whole. I do this with my paintings, too. I have many sketches of everything I do long before I produce the final piece. embroidery. 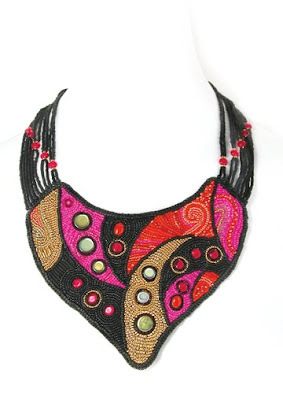 Glass beads and sensuede. Photo by Margie Deeb. I’ve always been an artist, and have painted and drawn my whole life. 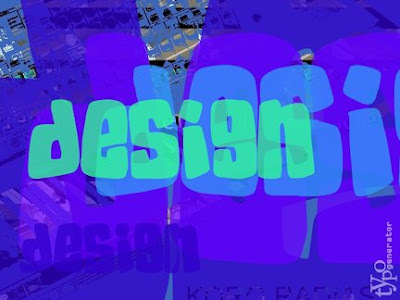 Being a graphic designer helped me hone my process and become more disciplined and methodical in my approach. Making a living as an Art Director where I constantly have to get into a client’s mind and heart, and produce work that fits a client’s objectives has made me not take myself or art so seriously, and as a result, become very flexible. Being a musician has helped me with rythym, pattern and movement. Writing has taught me to use a different part of my brain, the side not so natural to use, and helped me think better. Colored markers, colored pencils and colored pens! Beauty and the desire for more beauty! Meditations and dreams (on the intangible level). On the physical level, certain color combinations will light a fire in me, or stir my imagination. And I love looking at people’s faces. I find faces one of the most fascinating things in the world, and one of the most beautiful. I love painting faces, not portraits, but faces. My desire to rise to a challenge. I may get down for awhile and consider giving up – but that never lasts. I love a challenge. Do your work. Your work is your art. Every day. Just do it. It sounds so simple and trite, but it is the greatest thing I know – just do it everyday, of course always striving to learn more. I’ve wasted years at a time mucking around looking for answers to creativity, when I find all my answers IN THE PROCESS of my art. The second thing is: play and experiment. When I stop playing and experimenting and stop loving the process, then I am in big trouble. My art becomes stagnant and dead. 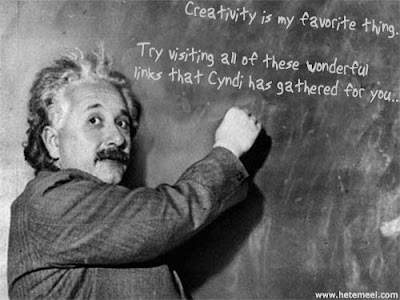 So I make sure I balance my work by coming to the table (at appropriate times) in a spirit of play and experimentation. I always need to remind myself of these two things. They are so simple we tend to overlook them, or think we’ve outgrown them. I promise you I will need to return to this interview for my own advice within four months. Teaching (am now teaching online classes on CraftEdu as well as travelling all over the country), my graphic design work, my community of beloved friends, and my family (musician husband and 2 dogs). I love the book Art & Fear by Bayles & Orland. When I’m lodged in fear, a few paragraphs of that motivate me like a wildfire. 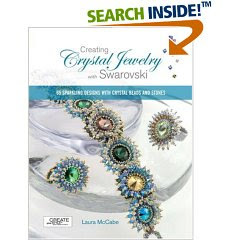 This is a gorgeous book that anyone who enjoys sparkle will love looking through. A lot of the projects are similar, or are variations on each other, but that’s to be expected with a book that concentrates on something specific like this. It’s not a beginner’s book either, but a determined beginner will not have problems following Laura’s excellent illustrations and directions. 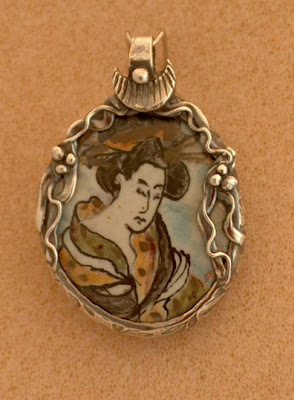 The “pendant with dangles” look is still going strong this spring. It’s a jewelry look that I like, and so even though I don’t usually consider myself any kind of slave to fashion, I was pretty quick to figure out how to make one of these to my liking! Any full-service catalogs will have the pendants and connectors that you will need. I got mine in an antiqued pewter metal from Rings & Things: the central pendant, the two rose connectors, and the 5 loop drop. 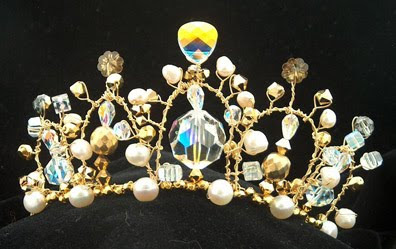 In addition, you’ll need a selection of pearls and crystals, or other beads of your choice, a bail, head pins, jump rings, and additional charms. I also used a 5 strand chain tassel from Rings & Things, but you can substitute plain chain or skip it altogether and just make beaded links. 1. 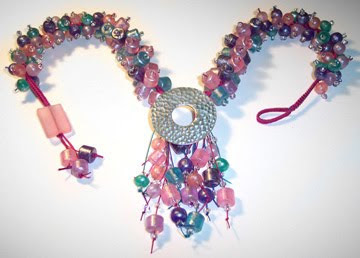 Assemble all your beads and findings and think about how you might want to lay them out. Generally, I think the balance is best on these pendants when the central dangles are a bit longer than the ones on the ends. 2. 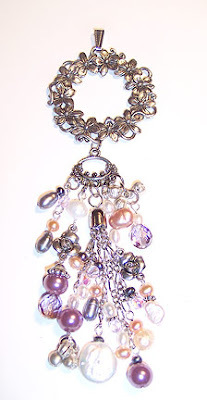 I started by attaching the 5 loop drop to the pendant and the tassel to the center loop of the drop, using jump rings. 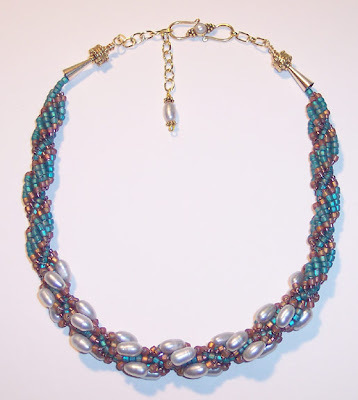 From there, I began to add beads to the bottom of each chain, making simple loops with head pins. 3. Moving outward, I added beaded links and the two connectors to the next loops and shorter beaded links and charms to the final loops on the outside. 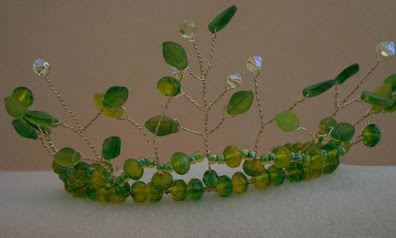 To make the beaded links, I simply cut the heads off of the pins since none of the links needed to be very long. 4. Finally, I went back to the center and added some small beaded dangles to the length of the 5 chains just to fill in a bit. How full you make your piece is up to you.There you have it! These are so easy to make that you might find you want to adapt this style and make one in each color combo that you like! Mine cost under $9 in materials, so they would also make a wonderful gift.